September was a busy month. I’ve been working on two blanket designs, both of which I hit a snag in the design and had to work it out. 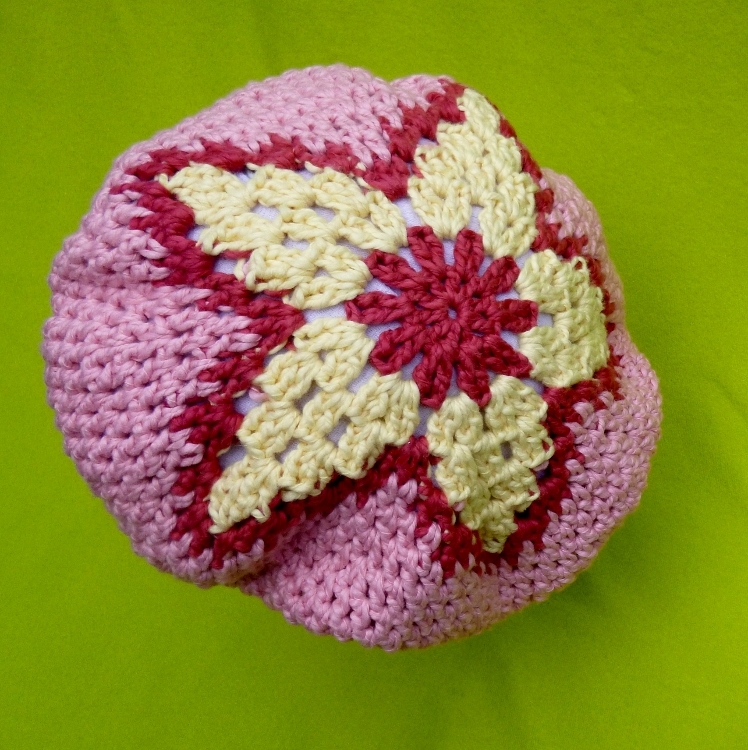 Because of this, I fell behind in my other projects and only made 1 hat in my Stash Bust Challenge for this month. But I really like this one. This design was written by Yvonne Tate, specifically for Halos of Hope. You can find it on her blog. I used a thicker yarn than the pattern calls for so I made few adjustments and ended up with a slightly slouchy hat rather than the beanie as the pattern is written. You can see my notes on my Ravelry project page. I’m real pleased with the results. It’s a cute hat pattern. Thanks Yvonne! The hat used almost an entire 3.5oz skein of yarn. I’ve got 3 months left in this challenge and 2 pounds to go. I gotta get stitchin’! I fell a little behind in my stash busting for June and July. Although I made a lot of hats for Halos of Hope, I didn’t use the Bernat CottonTots in my Stash Bust Challenge. I plan to make up for it this month. I have a current design I’m working on and a magazine deadline (yeah!) to meet, but I hope to squeeze in a couple more hats this month. I did spend this weekend working on two cuties. The design is from Sarah Zimmerman and you can get the pattern here: Crochet Owl Hat. I made some modifications to the hat design to make it work with my smaller scrap pieces (you can see my notes here). Overall, I’m real pleased. 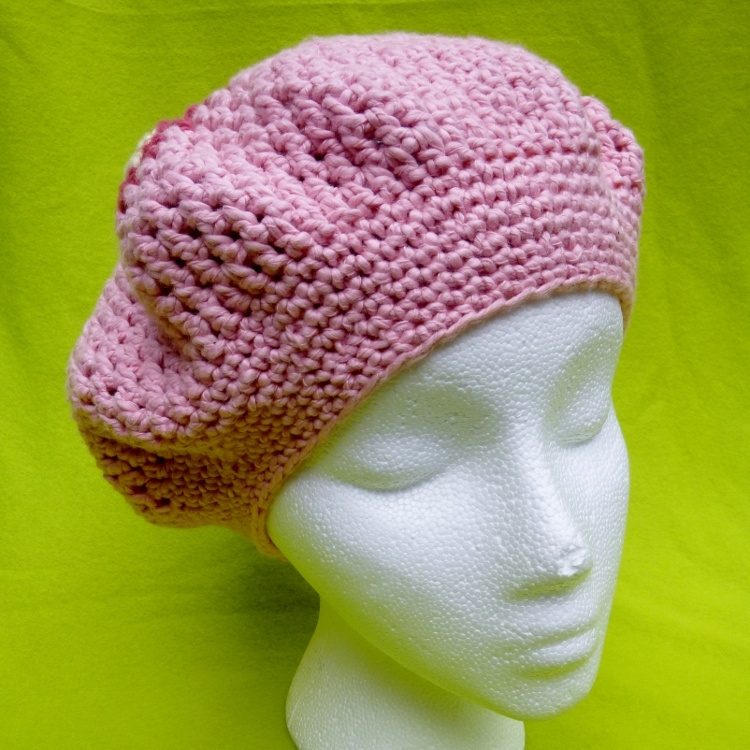 It’s a fun, quick hat to make. Together, they weigh in at 4 1/2 ounces. Total Stash Bust Yarn Used to Date: Just over 3 pounds! Officially 1/2 way done! When I sat down to write this I realized I didn’t post an update for April. I guess it’s because although I made a lot of hats for Halos of Hope in April, I didn’t make any hats out of my Bernat Cottontots stash. But I do have 3 Stash Bust hats for May. First, Hooper the Shark. I love this pattern by Monica Miles. She designed it for Halos of Hope and you can own it with a $10 donation to this great charity. The money goes directly to them and is used to pay for postage in shipping their hats. I made a couple adjustments to the pattern for worsted/aran yarn (it’s written for bulky). 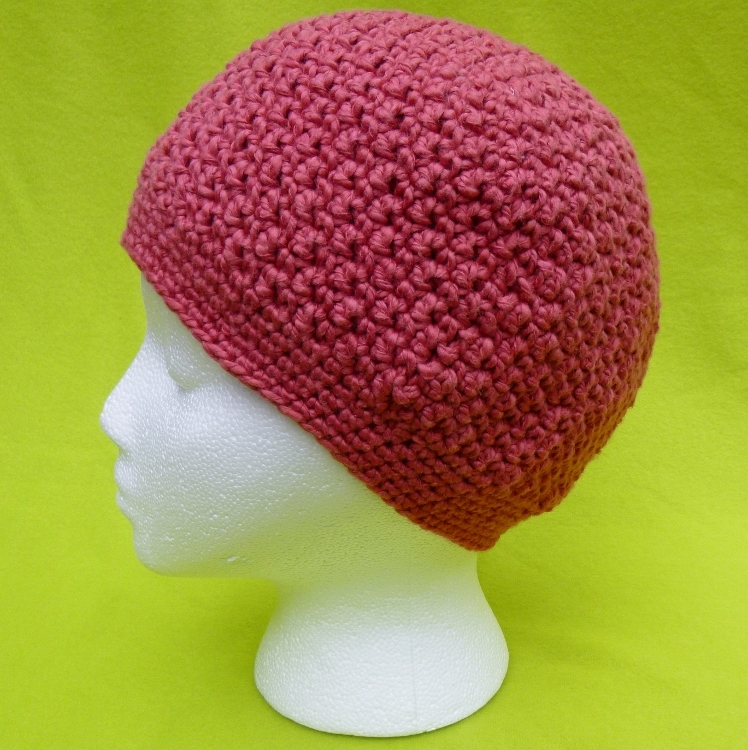 You can see my adjustments on my Ravelry project page. And if you have friends who knit, they have a knitted version as well! My second hat is Oink! I made this one on the bus going to and from my youngest son’s field trip. 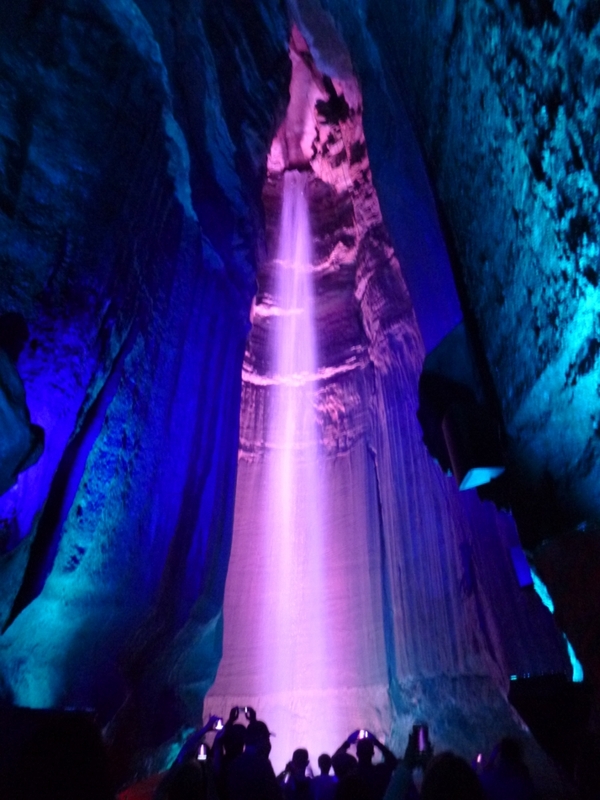 We had a nice day-went to Chattanooga, TN and saw Ruby Falls, an underground waterfall and went to the aquarium. Three hours on the bus each way and I had more than enough time to finish this cutie. The 3 hats together weigh in at exactly 12 ounces. Phew! It’s been a busy month and it’s only the 10th! I spent this last week finishing up a few hats I had started but hadn’t gotten around to completing. My incentive was to get the Kissy Fish Hats out to Halos of Hope ASAP. 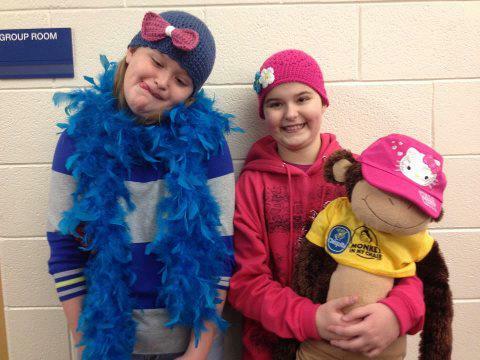 I also heard about a little girl in Michigan who could use a few hats. This is what was written about her on a facebook page I stumbled upon. and this article about an upcoming fund-raiser for her family. So this month, two of my Stash Busting for Hope hats will go to Kaelee (green with flowers and pink stripes with heart) and two (fish) of my hats will go to Halos of Hope. The four hats together weigh in at 13 ounces.